The label ‘classic’ is applied to all sorts of things from music to architecture through films and furniture – the Gold Star is a motorcycle for which the word could have been invented. Though happier with knobbly tyres and high-rise bars, Tim Britton is able to appreciate the Goldie’s charms. 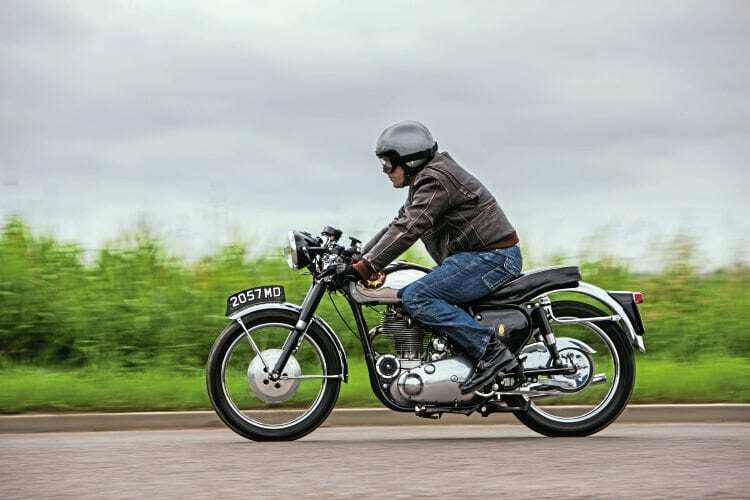 As I wait by the side of the road for photographer Gary Chapman and Tony Clarke – the owner of the 500cc BSA Gold Star I’m astride – to catch up a couple of things occur to me. You see I have this good-natured banter with regular TCM contributor, Richard Rosenthal, and his son Pete, both of whom are Clubman Gold Star owners and enthusiasts.